Our main problem with sleep stems from our definition of it. Most of us don’t get sleep because we don’t ‘get’ sleep. This is not just a philosophical statement, I believe that Western culture at large - including the sleep science and biomedicine community - really has a distorted, limited, biased and dysfunctional set of beliefs of what sleep is, and there lies the main problem. I’ve come to believe that we can advise people about sleep, we can give them lots of details and scientific information, we can provide endless strategies, techniques, and inventions – but they are of very limited value until we seriously reconsider what sleep is. After all, if you don’t know where you are going how do you know when you get there? Up until 15 or 20 years ago, sleep was mainly viewed as just downtime – but since then there has been a lot of research that shows us that sleep, for lack of a better term, is functional. We need sleep. We can now see that sleep improves our health, sleep improves immunity, sleep improves our physical appearance, it improves our athletic performance, and it improves our cognitive performance and memory. But to view sleep as purely functional is to miss its essence. Reducing sleep to function is like reducing relationships to function. We can open up the brain and look at how neural networks buzz when people report being in love – but to say that love is nothing more than a brain function really seriously guts it. It does not show the whole story. Sleep is not simply the servant of waking life it is a whole other state of consciousness at least as large as waking consciousness, and at least as profound as waking consciousness. Just like fish live in water, we live in waking – it is difficult for us to consider another state of consciousness, so we think that is all that there is. An essential part of healing our relationship with sleep is falling back in love with sleep. There is a Beatles song called Golden Slumbers, it is based on a poem Cradle Song that was written by Thomas Dekker around 300 years ago. Its lyrics go ‘once there was a way to get back home / sleep pretty darling / do not cry’. When that was originally written people believed that sleep was not just the absence of waking – it was not just about being about dead to the world, it took us some place, it took us home. There was a sense that it was a spiritual form of grounding. I think this was widely understood. In the 21st century we have a different conception of sleep. I think people have become afraid of rest and serenity. I was just on a call with a patient. He is a successful doctor. When he slows down he realises that he gets anxious because there is a voice in his head that tells him he needs to be vigilant, alert, planning, and controlling… that is what we get from the culture around us. It is almost as if life itself is a problem that must constantly be worked on – like life itself is a danger that we must be vigilant about. There is a growing fear and reluctance about downtime. We capture sleep as if it is a wild animal and we try to domesticate it. One of the most common questions I get asked is ‘how many hours should I sleep’? If someone asked ‘how many hours should my partner and I make love’ it would be a silly question – the obvious answer is as much as you can, it is an enjoyable thing. There is a presumption that sleep is not enjoyable. It is more like how much can I get away with. The truly scientific answer is: it depends. It depends on your age, your physical health, the season. The best way to measure sleep is not in the number of hours per night, but in the quality of support it provides to your waking day. If you are feeling energised through the day, without consuming high amounts of sugar or other stimulants, then you are sleeping enough. The idea of Green Sleep is an attempt to help people realise that sleep is not simply a solo experience. We look at sleep as something that I do, my brain and my body does it. It has nothing to do with you, the person I’m in bed next to, the people nearby or anyone else. I’d like to think that we sleep not just in our bedroom, but with our bedroom. It is a way of calling attention to the forgotten environmental element of sleep. I think this is a critical element. If we stop for a moment and pan back – at any given moment on planet earth, there are approximately two billion people sleeping. I don’t know why, but that comforts me. It is just nice to know that at any given point in time, some of us are at rest. Green Sleep is about recognising that we sleep as a planet, we sleep as a country, we sleep as a city, a neighbourhood, a family – we sleep with our environment. Whether the air that I breath while sleeping is clean or fresh, or whether it is carrying toxins from the paint or the carpet – that all matters to our quality of sleep – you are not just sleeping, you are sleeping with that environment. If I am sleeping with too much light seeping in past my curtains because I’m in a large city, or if I’m sleeping with background noise – all this impacts on the depth of my sleep. Green Sleep is about recognising that I sleep with my environment. I see dreaming as an essential component to sleeping, and indeed to living. Many of us dismiss dreams, or when we do pay attention to a dream, we want to milk the dream for information. When I look at the world today I think one of the greatest plagues that we are suffering from is that people are deeply mired in mundanity. One of the symptoms of that is closed-mindedness; it is this incessant focus on function and productivity. One of the symptoms of being dreamless or dream-deprived is depression. Even if we are not depressed we are on the road to being depressed if we have lost the sense of dreaming. Dreaming is not just something that happens at night. The dream is present all the time – just like there are stars in the sky all the time, we can’t always see them but they are there. We really need to learn to relate to the dream as another part of consciousness – it is the larger context of consciousness that is so very critical. It is an expanded way of seeing, it stretches the mind. This is a beautiful invitation to allow the mind to expand – and if we do allow it, we realise there is so much going on around us, that there are patterns of life and aliveness in all things. And then we begin to bring the same eyes that we use to see the dream at night into waking life and it essentially allows us to see the enchantment that is already there. We can begin to see sleeping and dreaming not only for a bridge for expanded consciousness, but also as something that can make us better in our waking lives. 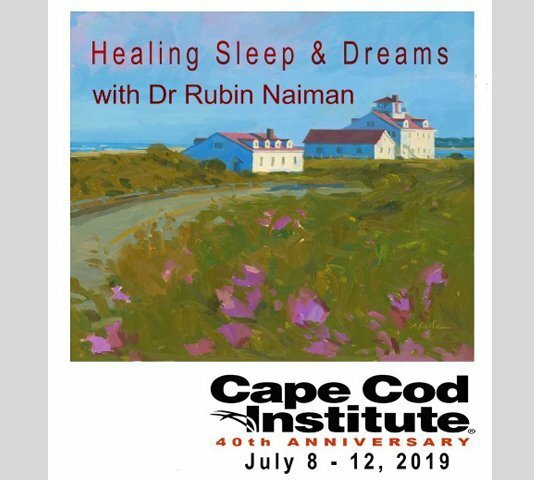 Rubin Naiman, PhD, is a clinical psychologist specializing in integrative sleep and dream medicine. 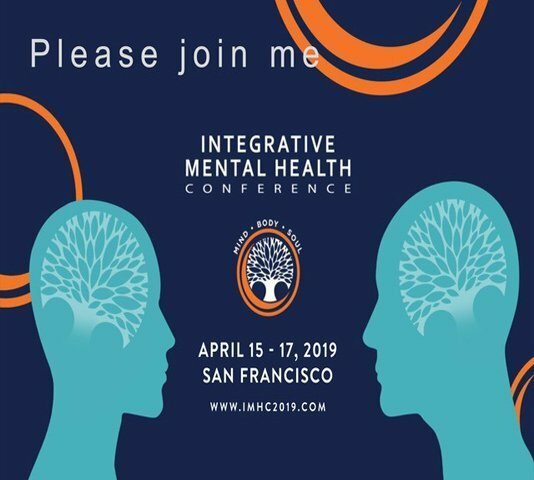 He is the sleep and dream specialist and clinical assistant professor of medicine at the University of Arizona’s world-renowned Center for Integrative Medicine. 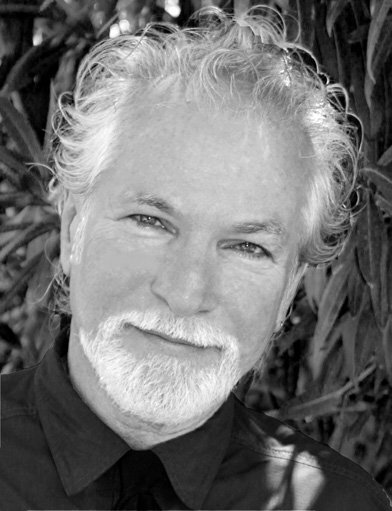 Rubin is the author of a number of groundbreaking works on sleep, as well as a numerous professional book chapters and articles. He also blogs about sleep and dreams for the Huffington Post and Psychology Today.